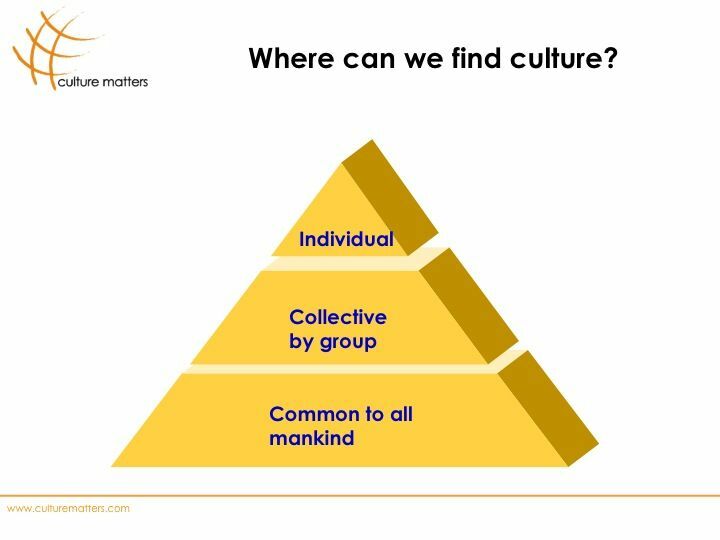 During our Cultural Awareness Training, we focus on Where Culture Is. In other words, can we isolate culture and distinguish it from Personality and what is Common to All ManKind? The answer is yes. Culture has a place amongst the other two (Personality and What is Common to All ManKind). At the very top, you see the Individual. First and foremost, people from all cultures should be acknowledged for their personality. Not for their cultural background or “Cultural Programming“. The Individual has his or her personality first and second this same person has a culture of his or her own. This one is at the very bottom of the picture. There are things we all do. Irrespective of our cultural background. Examples are: eating, drinking, sleeping etc. These are pretty much identical with Maslow’s hierarchy of needs. But there are plenty more: we all engage in relationships, be it friendly or more intimate; we all aspire a purpose in life; we all have some sort of favorite time-pass (movies, music, or whatever). However, how we practice all of the above depends greatly on our cultural background. But how these four points pan-out in different countries, depending on the country, and hence on the culture. All these above-mentioned Generalities get their specifics in the middle layer, the collectivity by the group (not to be confused with Collectivism!) called Culture. A typical example is food and eating. Take the Dutch. What is a typical Dutch lunch? The general answer to this question is: “A cheese sandwich and a glass of Milk“. Now take the French. What does a typical business lunch look like in Paris? The typical answer is: “It takes at least 1 1/2 hours; has a three-course meal; and there are two bottles of wine, one red and one white“. Is this always the case in Paris? No, of course not. The same holds true for the Dutch. But we’re describing general trends in society here. If you ask the Dutch “Why” they eat this simple sandwich lunch (don’t forget the Milk! ), the general answer is that it is Efficient and quick. Even almost biological: if you don’t eat, you’ll get hungry. So better eat. Even if it is something simple. If you ask the French “Why” the indulge (?) in long lunches with wine and a hot meal, the answer is that it is a moment to relax, and build relationships. But also to do the actual business to be conducted. We can see in this example that there are two levels of Cultural Differences. One at the observable, visible level, but, maybe more important, at a deeper, motivational level too. Not only do we eat different things in different cultures, but also the deeper motivation why we eat differently is culturally driven. What are your examples? Please share them by describing them here below. Interesting article. I believe there is a difference to be drawn between private culture and public culture, or one’s own culture VS the culture (or the bits of culture, to better put it) one shows to his/her peers. My understanding is that one may very well choose to show a culture which is NOT his own. For example, if I am working in England and are of Italian origins, I might want to hide tids and bits of Mediterranean culture, as this may be used against me by close-minded yet powerful peers. The same could be true for Belgians working in France, where “conservative” French managers are more inclined to consider them not to par with their French counterparts. Maybe your two levels of culture describe in fact the private (acquired and hard to run away from) VS public bits – the latter being the ones one chooses to show? Second, I do agree with you about the fact taht culture can be differentiated from one’s personal identity. Still, I think there is something to be said about your own understanding of culture. I mean, WHAT is it, rather than where? 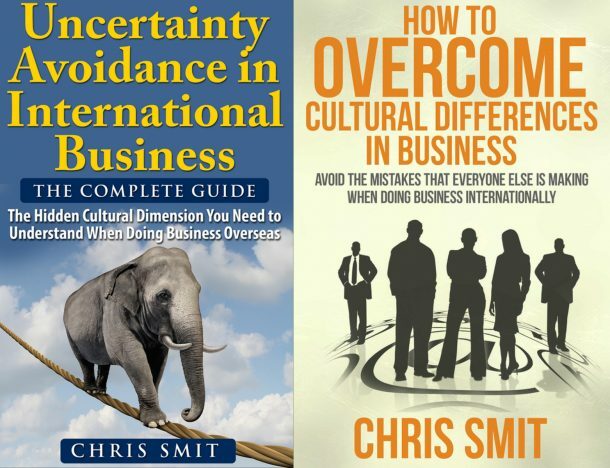 Since I moved away from my native country, I started understanding key aspects of my native culture that I would not have caught otherwise. So two levels of culture seem to be a bit too “simple” to describe what one recognizes as integral part of his own personal identity.. Thank you. You have my mail if you want to get in touch w me! Thank you for your comment. I understand where you’re coming from. It’s a comment I get a lot when doing a workshop. If I understand you correctly (and re-phrased) into my own words), You talk about Private culture and public culture. To my understanding Public culture is more behavior related (conscious behavior). In other words, you are aware of your behavior and adapt this given certain circumstances. Often when we come under (emotional) pressure, we very often revert to our “default” behavior, which is your Private culture. The place of culture in the middle I agree. But in my opinion and as a counselor, coach and consultant I wouldn’t necessarily put those elements in a triangle…I’d prefer three balls or circles tangent each other. I mean, all those issues are mostly present while facing people where ever they are from. Thanks for your comments. Have you read my latest post? You’re quite right! And thanks for your comment!